All of the above mentioned providers are the top first aid certification companies in Canada. A number of other smaller providers exist that can also provide certification courses. Find a workplace approved first aid and CPR certification provider near you. Candidates can select from a variety of different first aid courses. Each first aid course has a mandatory CPR and automated external defibrillator (AED) component. The CPR component is separated into different levels. CPR level “A” is the lowest level. This level focuses on only basic CPR techniques for adults and health care provider CPR (CPR HCP) is the highest level which teaches candidates CPR techniques for adults, children and infants. 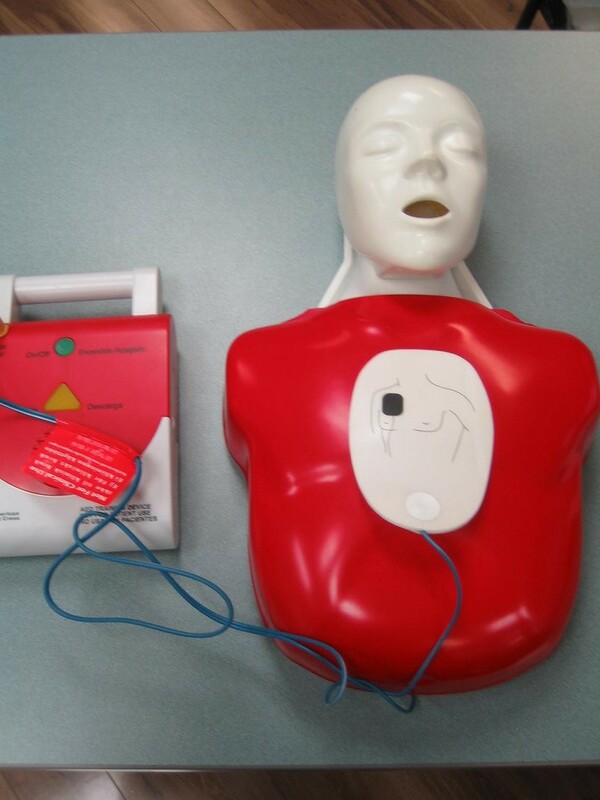 Individuals that attend workplace approved first aid and CPR certification programs will receive training on how to effectively provide CPR and use a AED with the help of mannequins and AED trainers. Standard childcare first aid, CPR level “B” and AED – This course is only provided through St Mark James. Candidates may not select a different level of CPR certification. This is a 18 to 20 hour course that is usually completed within 2 days. Standard first aid, CPR HCP and AED – This course is one of the most comprehensive first aid and CPR courses offered by the major providers. This is 16 to 18 hour course in which candidates will receive the highest first aid certificate available through St Mark James and the Lifesaving Society. Standard first aid, CPR level “C” and AED – This course is one of the most popular courses offered by all the providers. CPR level “C” is the standard option for this first aid course. This course is 14 to 18 hours in length. Emergency childcare first aid, CPR level “B” and AED – This first aid course is taught exclusively through St Mark James. Candidates that successfully complete this course will receive an emergency childcare first aid certificate that is valid for 3 years. Emergency first aid and CPR level “C” – This first aid and CPR course is for candidates that want basic first aid with comprehensive CPR training. It is a 8 to 10 hour course that is normally completed within one day. Emergency first aid and CPR level “A”– This first aid and CPR course is one of the most popular and basic first aid courses available. It is a 8 hour course that teaches basic rescue techniques for adult victims. Babysitting First Aid – Babysitting first aid and CPR courses are courses offered exclusively through the workplace approved. Upon completion of this course candidates receive a babysitting certificate that has no expiry. Wilderness First Aid and CPR – This is a comprehensive course offered usually only through the workplace approved. It is a 36 hour course that involves candidates receiving training outdoors. To receive a first aid certificate register for one of the above mentioned courses. Having a first aid certificate builds your confidence and makes you more employable.